Credit to InTheSnow, who announced some clever distribution today to put their magazines in the hands of people heading to the London Ski and Snowboard Show. The London Ski and Snowboard Show is owned and organised by the Telegraph group. The Telegraph is the headline sponsor. As they also publish their own snowsports magazine, other publications are not usually allowed to be distributed within the show. 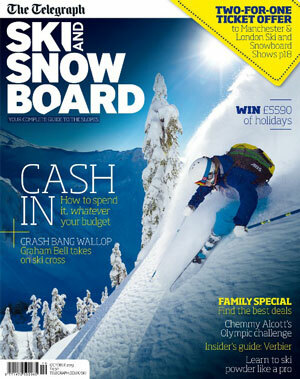 InTheSnow magazine have got round this with some agile guerrilla marketing. According to their press release today, they have organised ‘exclusive distribution outside Sloane Square Tube Station and on Chelsea Bridge Road & Queenstown Road’. They estimate that the magazine should end up in the hands of 80% of visitors to the show. They also claim the magazine is ‘guaranteed to hit as many visitors as possible’ – a phrase that manages to be both meaningless and tautological, but at the same time extremely compelling. Whether or not this figure will be correct is an unknown, as everything about the show is new for 2015. After many years at either Olympia or Earls Court, this year the London Ski Show will be held at Battersea Evolution in Battersea Park. Battersea Park overland station is the nearest tube or train stop. For most people it will require at least one change to get there. 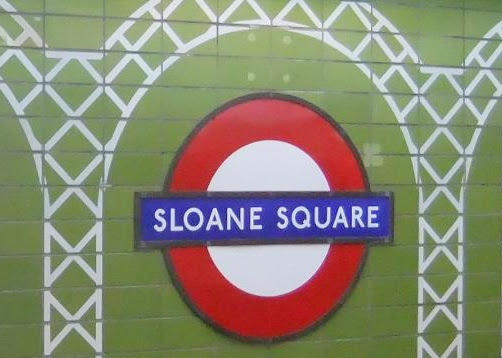 Sloane Square is the nearest tube station. Google estimates that it will take 25 minutes by foot to walk to the venue. It will be interesting to see how many visitors the show attracts and if it can still compete in this new venue. We have contacted the organisers for comment and hope to bring more details on their plans soon.